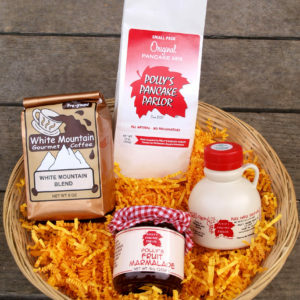 Serves 2 to 4 people. 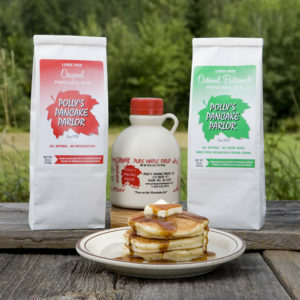 1 Pint Pure Maple Syrup. 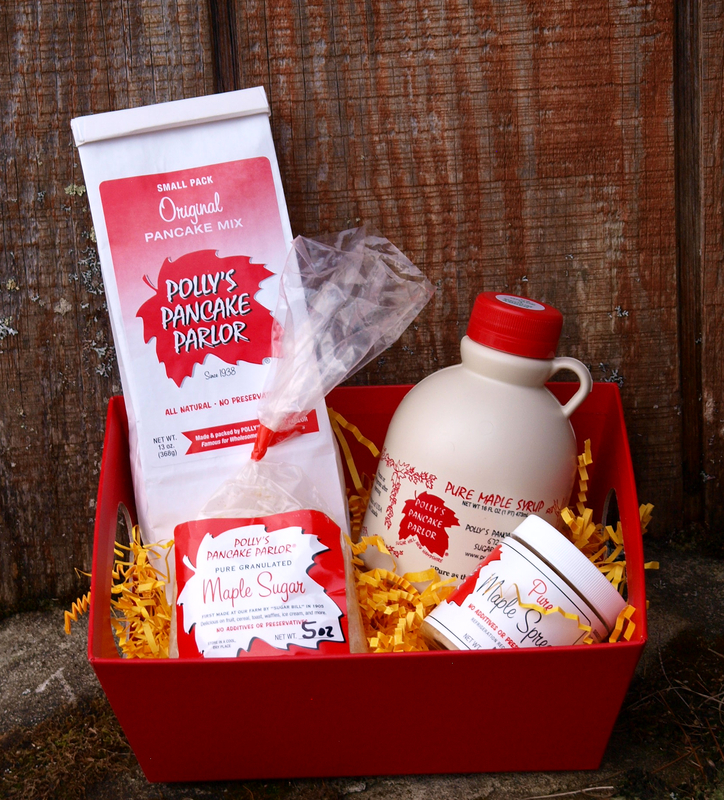 6 oz jar Maple Spread. 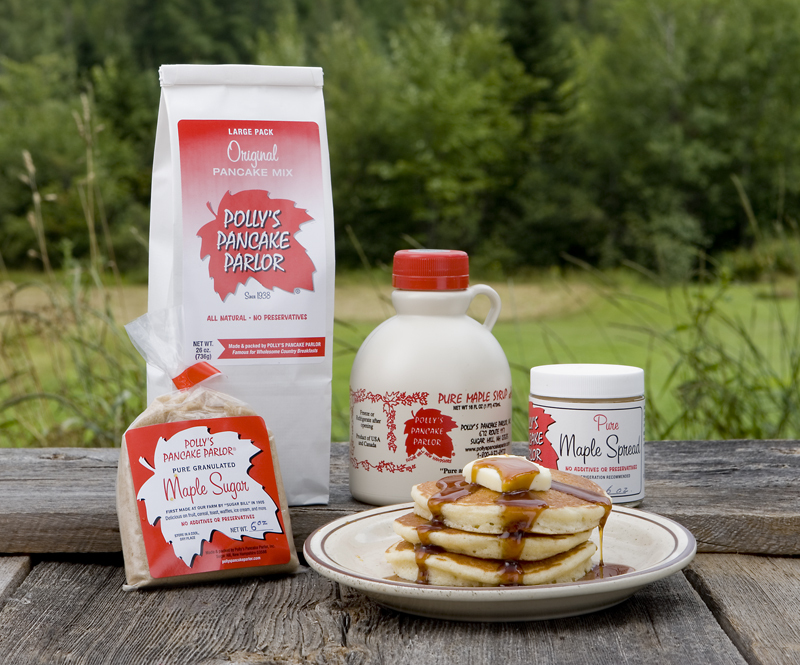 5 oz box Granulated Maple Sugar. 1 small Pancake Pack – Select: Plain, Buckwheat, Cornmeal, Whole Wheat or Oatmeal Buttermilk. 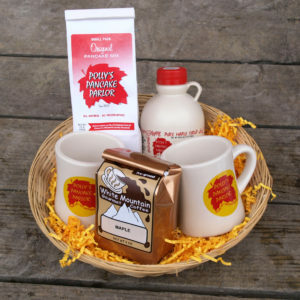 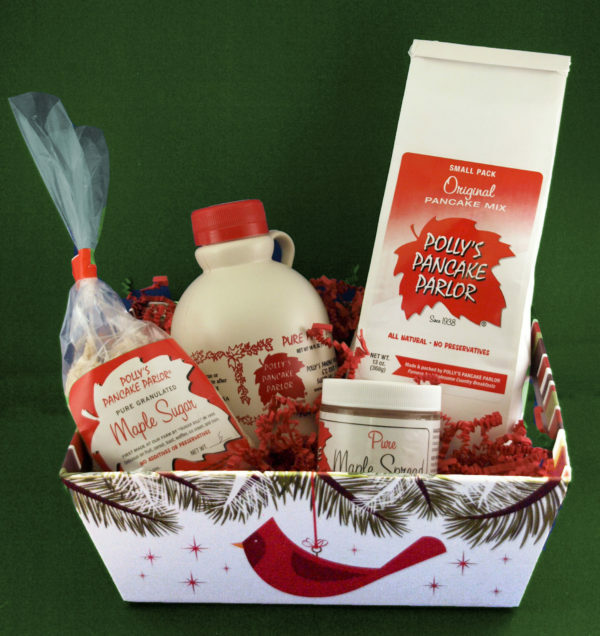 Taste of Maple is perfect for the maple fanatic! 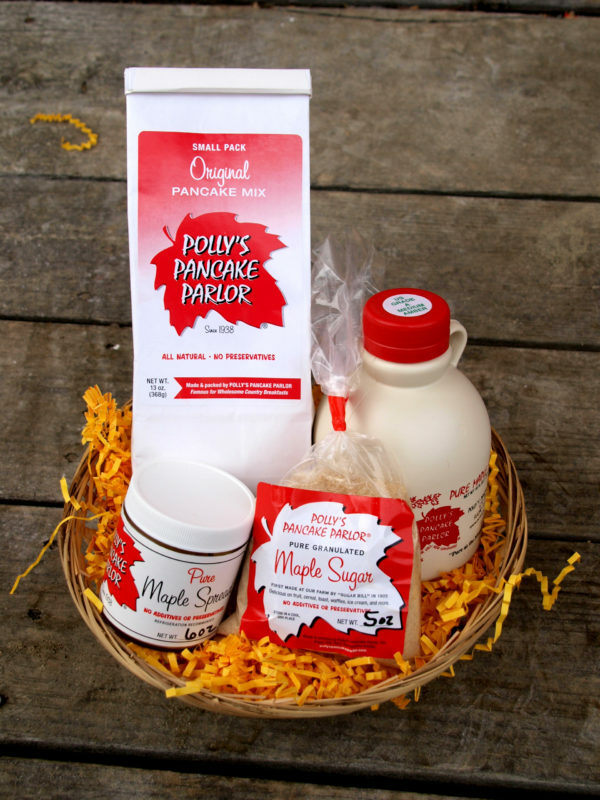 Featuring NH Syrup, Polly’s Made Maple Spread, and Polly’s Made Maple Granulated Sugar. 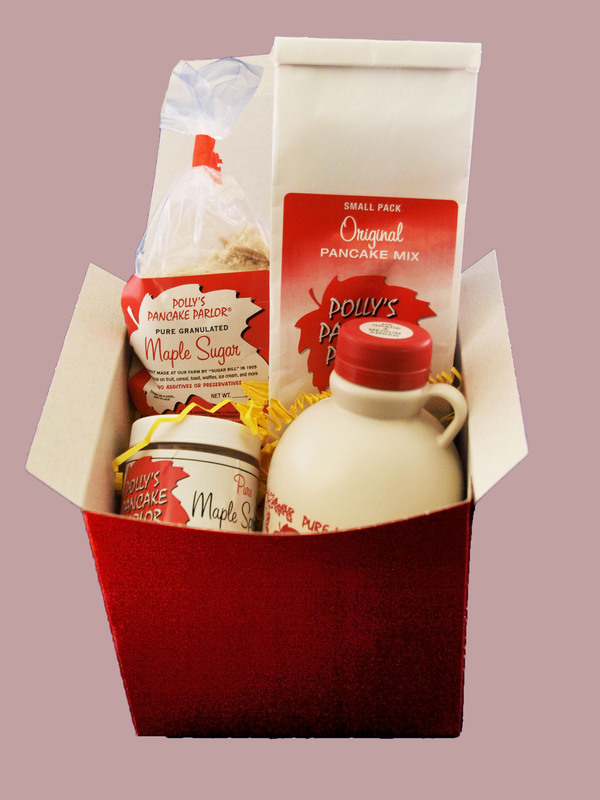 Since you’ll need something to dress up with that maple goodness, we of course also include a pancake mix of your choice.